Snapdragon Edinburgh is a botanical boutique based in the thriving Bruntsfield area of the city. 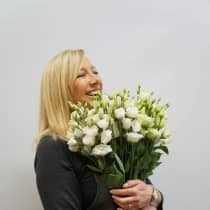 Founder Catherine Traynor opened the shop in 2014 as a space to sell natural, British garden style florals and flower-inspired fragranced candles. Snapdragon's products are curated with one simple philosophy in mind - to provide shoppers with naturally elegant and understated items for their homes. We predict an increased interest from consumers in the stories behind what is being bought, and in shops where creativity and design are part of the shopping experience.